Inspect the conveyor often. In manufacturing, conveyor is often an afterthought to production machinery, but this mindset can sabotage the entire operation as production equipment is left idle when it’s done. Even if a manual materials movement process is possible, it’s typically slow, error-prone, and cumbersome. In distribution centers, conveyor tends to get more attention from maintenance staffs, but often that attention is focused at the end-of-line areas where it’s interfacing with packing stations or palletizers. In both cases, inspect the conveyor at regular intervals. Pay particular attention to those hard-to-reach areas, where people are more likely to ignore or skip maintenance. These can disproportionately produce expensive and time-consuming repairs. 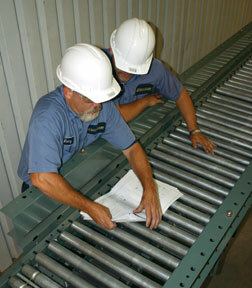 Conveyor manuals will almost always provide the recommended inspection intervals. Inspections also help your workers understand conveyors better, and also familiarize them with its potential safety issues. Inspections are a win-win. Keep a maintenance log. No, really. Understanding what has been done – and when – is a key to conveyor performance. Again, conveyors are as important as production machinery. It’s just that they are sometimes treated as an “accessory” and don’t get the focus. This is a particularly good practice in multi-shift operations. Do the recommended preventative maintenance. Your conveyor manuals (and probably, your conveyor provider) will tell you what is needed and when. Make it happen. Or, schedule an independent maintenance group to come do it. 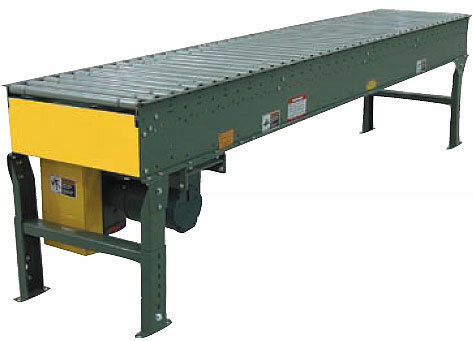 You can use and abuse conveyor for long periods of times and it will run. But will it run when you need it most, during your rush times? Maintaining it means that it will be rolling at critical times. Keep spare parts in stock. Even if you do all of the above, conveyors are like any other machine – sometimes prone to breakdowns. If yours dies in the middle of the third shift, and all it takes is a replacement conveyor part that you could have had in stock for $20 or less, is saving that twenty bucks worth waiting until the morning – or possibly a day – for the manufacturer to ship you one? Recommended parts lists are often provided with the conveyor when you bought it. You don’t need every part on the shelf, just the ones your conveyor manufacturer advises. If you didn’t buy the conveyor and don’t have that list, call us and we can help you identify the brand and the recommended spare parts list. Make sure everyone who works on, near , or around the conveyor is trained. This goes from shift supervisors to order pickers to managers. They should all understand how to use the conveyor you have, its load capacity design, its safety issues, its operation. Does everyone on the floor know what the emergency stop is, and where it is? They should. Do the people who are designing new products or bringing them into the facility take the weight of new SKU’s, the size of the item, and its throughput requirements into account before it gets stocked? Often the team that does this is only peripherally aware of how it will be stored and conveyed.